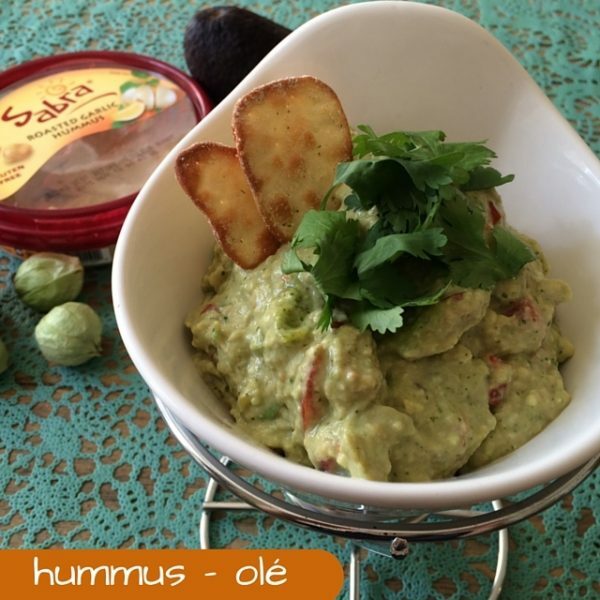 Disclaimer: By posting this recipe I am entering a recipe contest sponsored by Sabra Dipping Co. LLC, and am eligible to win prizes associated with the contest. 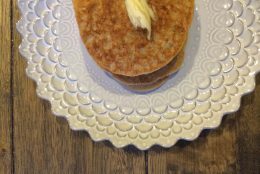 I received coupons for free product used in testing this recipe. I was not compensated for my time. 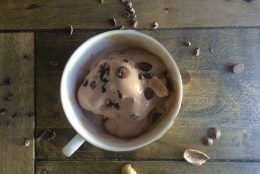 Beans are a total superfood — we’re talking soluble and insoluble fiber, iron, manganese, folate and protein. They can promote healthy cholesterol levels, help with weight management and balance blood sugar levels. That’s all fine and dandy, but we barely eat beans! If you’re like me and have trouble eating beans on a regular basis, here’s where hummus helps. 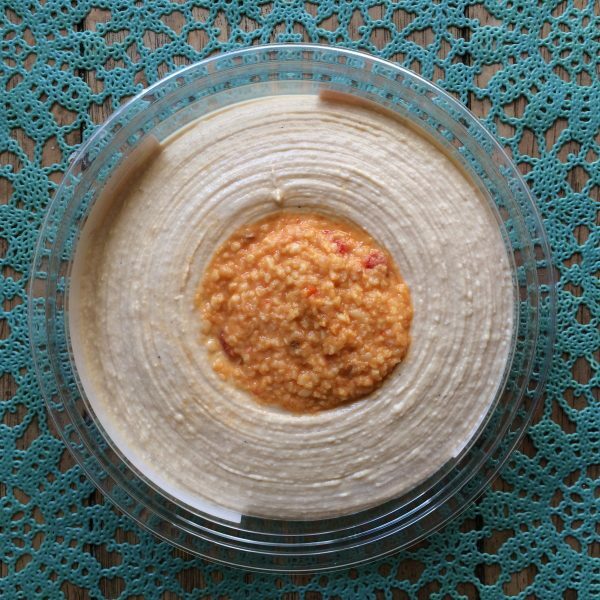 Hummus, a puree of garbanzo beans, tahini (sesame seed paste), olive oil, garlic and spices, has been eaten in the Middle East for hundreds of years and is now popular worldwide. What’s cool is that just two heaping spoonfuls of hummus a day will fulfill your bean recommendation for the week! 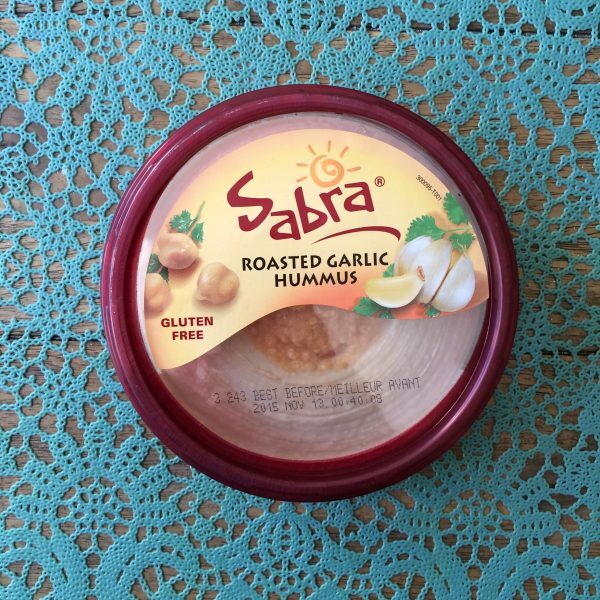 #TwoSpoons of Sabra hummus sounds like a might tasty and easy way to eat beans and this amount could also help reduce the risk of chronic diseases like heart disease and diabetes. What’s more fun than extending the fun of a football game with a tailgate party? How about tailgating with food that actually gives you more energy and makes you feel good! How un-awesome do you feel after chowing down on hotdogs, cole slaw and chips with bacon and cheese dip? Sabra is the Official Dips Sponsor of the NFL and together we want to transform your tailgating season. I am a huge guacamole fan. I believe that guac goes with everything (at least until you prove me wrong with some atrocious combination). That means that guac and Sabra not only could but should be joined together for the best of both worlds in one dippable dip. Preheat oven to broil. Place tomatillos in a single layer on a baking tray. Roast tomatillos 2 inches under the broiler for 10-12 minutes, flipping halfway through. Transfer roasted tomatillos to a blender and add cilantro, water, salt and lime juice. Blend until smooth. 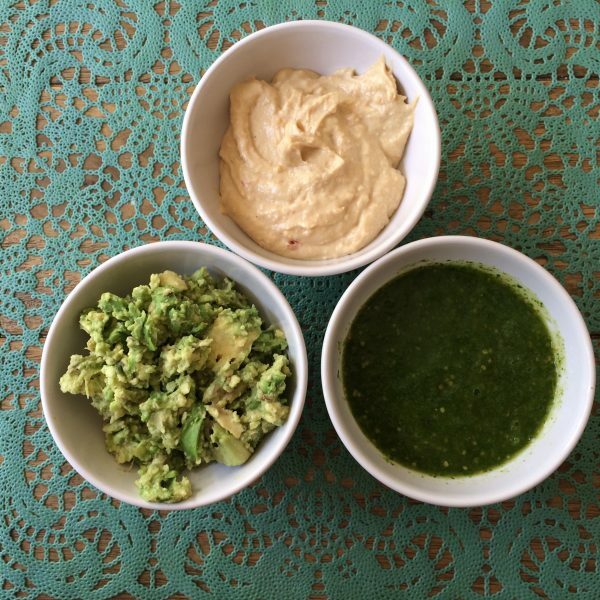 In a bowl, combine tomatillo salsa, shallot, tomato, avocado and Sabra Roasted Garlic Hummus. 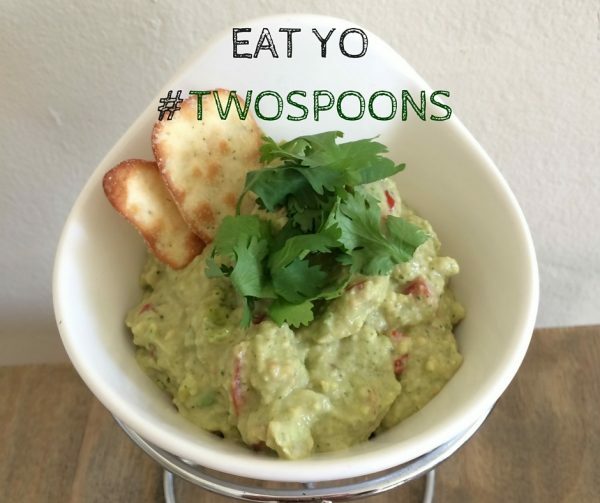 Transfer to a serving bowl and eat at least #TwoSpoons!